Biostar has released a new motherboard that has been created specifically for cryptocurrency mining. As you probably know that this is one of the latest trends in the computer world but hardware designed for this task can hardly be found. The new motherboard that’s aimed at a rather exclusive market segment. The BIOSTAR TB85 is designed especially for the currency miners, the people who use their PCs to solve hashing problems and earn digital currency such as Bitcoin. Miners just need speed to mine currency and security to protect their earnings. They do not need some items that other users might find essential, such as the support for massive amounts of DDR4 memory. The features of the TB85 are designed for miners. 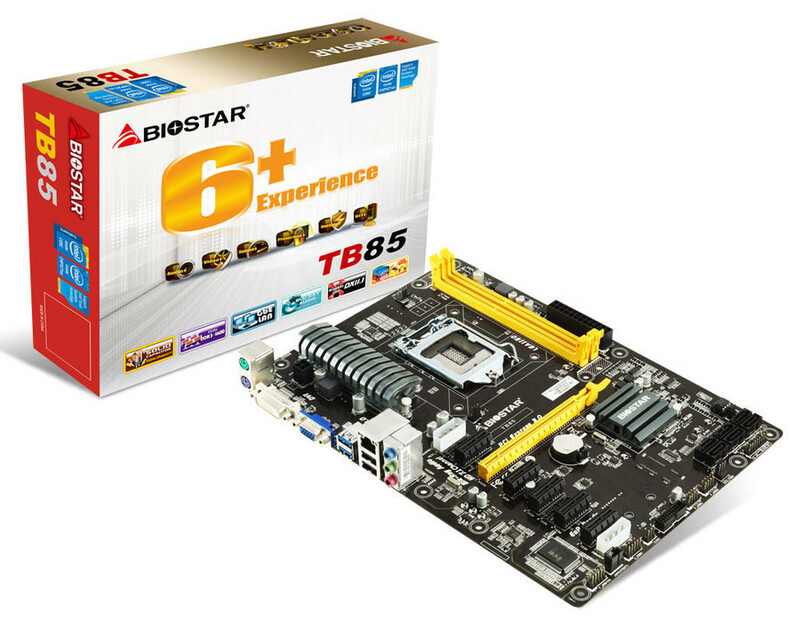 The new BIOSTAR TB85 motherboard features multiple expansion slots to allow usage of multiple cards simultaneous for max efficiency for cryptocurrency mining.The board supports Intel 1150 processors and features the B85 chipset. The BIOSTAR TB85 supports 4th-gen Intel 1150 processors and allows home users, businesses and gamers to take advantage of its wide feature set for play or work. With up to 6 PCI-e slots, user can maximize their motherboard for the cryptocurrency mining and earn back your investment quickly. The new BIOSTAR TB85 is made to last featuring X.D.C. solid capacitors along with a VRM heatsink installed for more efficient cooling of the motherboard components. The board also features Intel Small Business Advantage enabling users to monitor the status of their motherboard as well as other security features to protect their mining investment. The MSRP for the new BIOSTAR TB85 motherboard is at $69.99.